"Guitar groups are on their way out." That line has been delivered in virtually every decade since the birth of rock n roll, usually by men in suits thinking they have a hold on a generation. On January 1st 1962, three men in a Decca Records studio would say the same thing to a hopeful young guitar band, brought in by their manager Brian Epstein to perform a fifteen song audition. That band was The Beatles, and their rejection would be the talk of the industry for decades, forever remembered as one of the worst decisions in record company history. This season our Black Label collection is steeped in the history of the darkest days of The Beatles. We follow the journey of the band at their peak, transcending into the pressures of running a corporation and eventually the creative differences and personal choices that led them to split. Although they found themselves signed to EMI soon after the Decca audition, that early rejection had planted a seed in the band's mind to wrestle control of their own destiny. From 1962 onwards The Beatles’ rise into a cultural phenomenon was unstoppable, marking the birth of the modern pop band as a tornado like force. Most importantly, there was a sense of a fierce intelligence and progressive songwriting waiting to be let out from behind the artifice of mainstream success and teenage screams. Thankfully it didn't take long for that to happen. December 1965 marked a chameleon-like move into more soulful and significant waters with the release of the Rubber Soul LP, signalling the birth of a new kind of Beatles. They'd found a way to beautifully marry McCartney's pop sensibility and Lennon's soulful intelligence, shifting the dynamic of the band from being a commercial pop act into the musical pioneers they would eventually become. Following the tragic death of manager Brian Epstein in 1967, the band took on the duties of their own affairs and decided to form a corporation, simply called 'Apple Corps’. 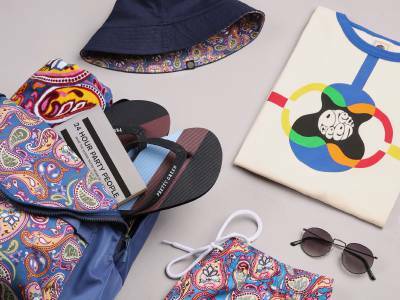 Based on Saville Row, it was intended to be a multi faceted company, which would incorporate a record label, film studio and even electronics into its flagship, echoing the free spirit and creative echelons of the day. While ambitious and in many ways successful, the organisation managed to attract some of the lesser figures of the counter culture. 'People sat around doing Tai Chi all day' asRingo put it. The superfluous hustlers of thedrop-out generation were perfectly positioned to hang on to the bands coat tails it seemed. Still, by 1968 cracks were beginning to show. During recording of The White Album tensions began to grow between Lennon and McCartney. The presence of Yoko Ono at Lennon's side seemed to rankle hissongwriting partner, whilst both had become critical of each other's songs during the long, drawn out recording process. It added a pressure to the band that seemed to echo the darkness of the times. The Sixties dream was a dying flower replaced by the spectre of the Vietnam war and political unrest. Although the White Album would eventually be seen as a masterpiece and finally bring George Harrison to the forefront of the band as a major songwriting talent, it took a heavy toll on the group’s momentum. They would record again of course, but seemed jaded by the process. In many ways in fact the making of the White Album cast a dark shadow from which they never really escaped. It was the beginning of the end for the band, but in true Beatles fashion they did have one last, great iconic performance up their sleeves. 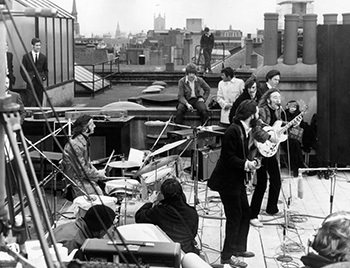 On the 30th January 1969, in what was to be their final public appearance, The Beatles performed an impromptu concert on the roof of their Apple headquarters in Savile Row. It was a typically unconventional move from a bandwho had always moved with an assured style, from their beat days of tailored suits and sharp cuts through to their disparate personal styles of the late sixties. As pandemonium ensued in the street below the police were called to shut down operations, but in a show of solidarity the staff at Apple Corps simply blocked their entry. Eight songs later and it was over. The figure of Lennon grinning singularly at the crowd below with his legendary Epiphone Casino held low over his shoulder by that iconic guitar strap of his. 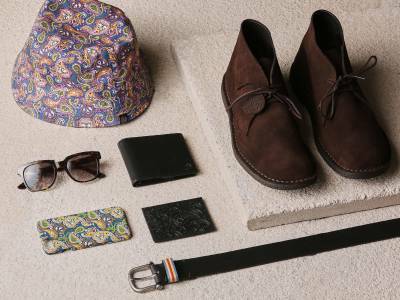 Representative of this, our Black Label collection reflects the turbulent emotions of the late 60s and murmurs of all 4 Beatle styles from McCartney esque tailoring and the pattern from Lennon’s guitar strap. The almost anarchic gig on the roof symbolises for us, the spirit of the band and a sense of Britishnessthat is present in every design detail from ticket pockets and double vents on our suiting to the turned up collars on our bomber andpeacoats. "I’d like to say thank you on behalf of the group and ourselves, and I hope we passed the audition."